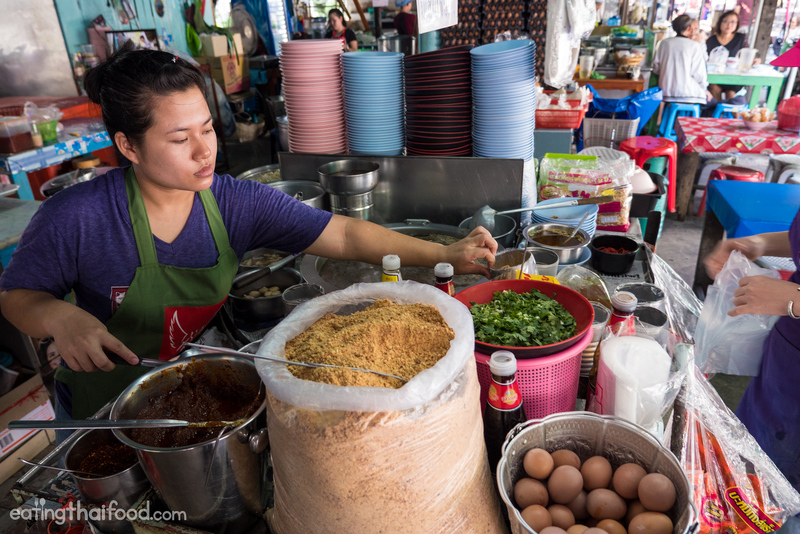 24-Hour Bangkok Street Food - Noodles and Soft Boiled Eggs (ร้านโกบู้รสซิ่ง)! 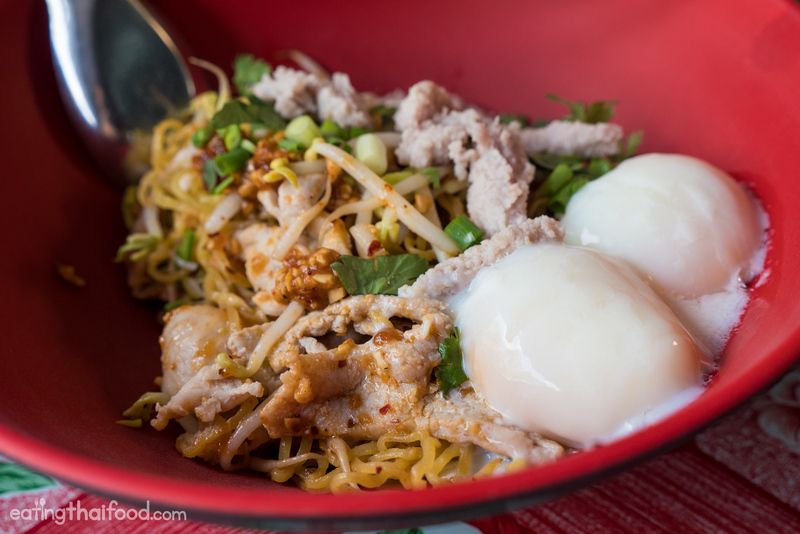 24-Hour Bangkok Street Food – Noodles and Soft Boiled Eggs (ร้านโกบู้รสซิ่ง)! 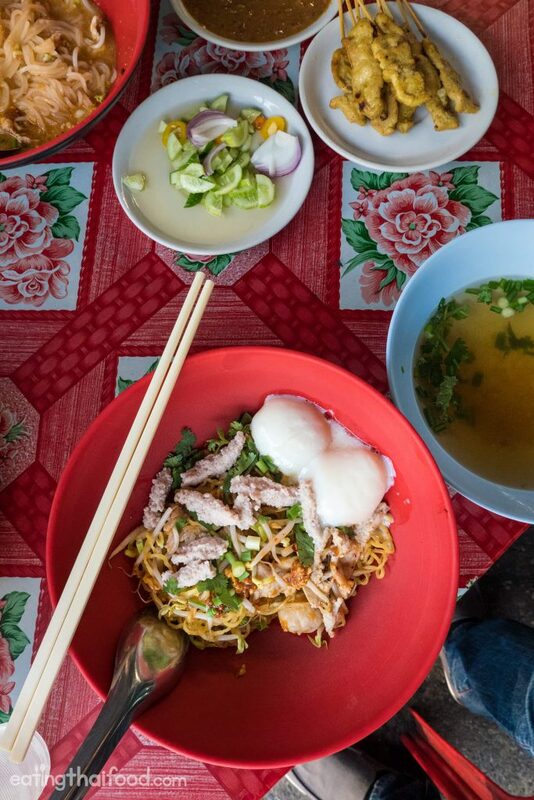 If eating oozing soft boiled eggs over noodles at 4 am is appealing to you, Ko Boo Rossing Noodle (ร้านโกบู้รสซิ่ง) is a Bangkok street food stall you’re going to want to take note of. But don’t worry… they’re open 24 hours a day, so you can come here anytime — even if you’re not a night owl! Wisarut, a Thai friend of mine, recommended that I needed to try Ko Boo Rossing Noodle (ร้านโกบู้รสซิ่ง) for the tom yum noodles and especially for their soft boiled eggs. So I was excited when I had a chance to eat here. My wife and I went for lunch… not at 4 am like I would have loved to a few years ago. 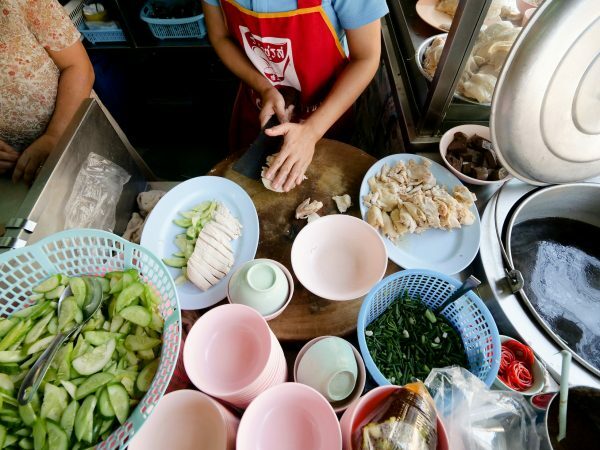 This Bangkok street food stall is located in Bang Kapi and more specifically Khlong Chan (คลองจั่น). You can see all the details about the location on the map at the bottom of this blog post. One of the coolest things I immediately loved about Ko Boo Rossing Noodle (ร้านโกบู้รสซิ่ง) street food stall is that it is laid back. I loved the seating arrangements and especially the kitchen with all the noodle assembling ingredients placed around the boiling cauldron of soup. 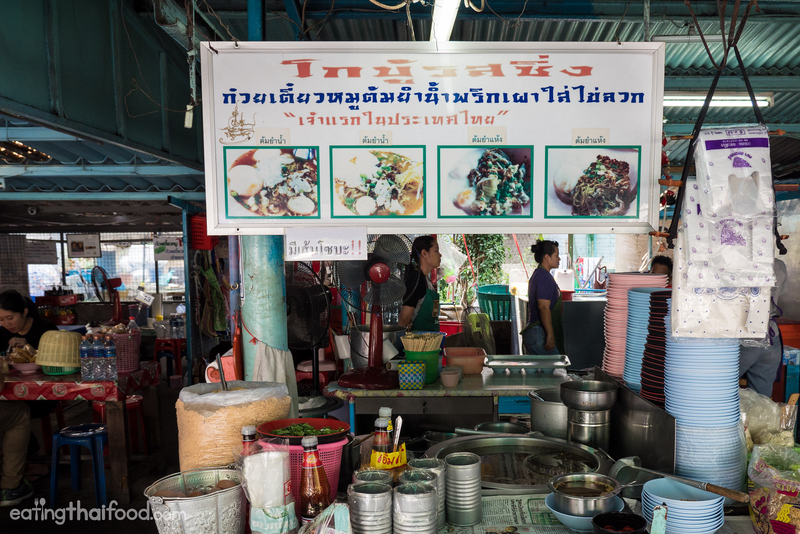 Ko Boo Rossing Noodle (ร้านโกบู้รสซิ่ง) serves Thai tom yum noodles, very street food style. So they aren’t fancy like the bowl at P’Aor. But you can still choose your type of noodle preference, and customize your bowl of noodles as you like. Starting off with my wife’s bowl of noodles. She ordered the special sized bowl, with medium sized rice noodles, soup within, and 2 soft boiled eggs, with all the other fixings (sen lek tom yum pisayt kai 2 fawng เส้นเล็กน้ำต้มยำพิเศษไข่2ฟอง). I had a quick taste of her bowl of noodles, which was good, but I’ll explain more about my bowl. I ordered the special sized egg noodles, dry with soup on the side, and 2 soft boiled eggs with all the seasonings (bamee haeng tom yum pisayt kai 2 fawng บะหมี่แห้งต้มยำพิเศษไข่2ฟอง). 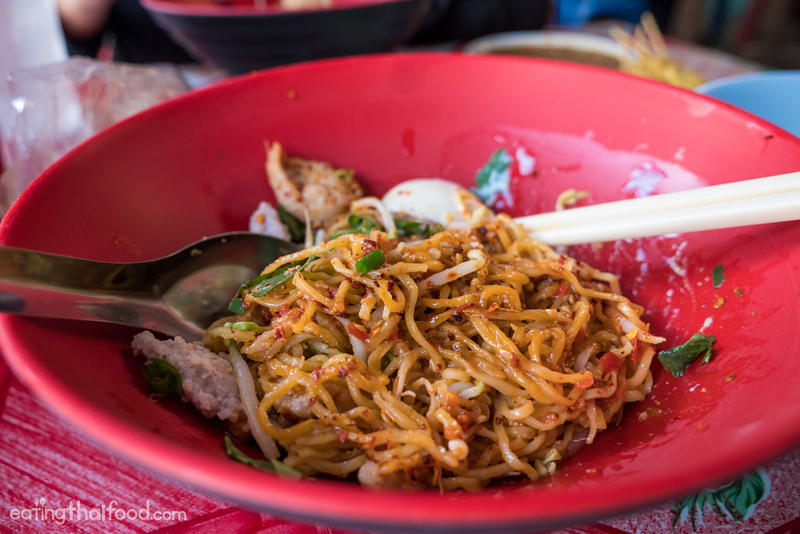 The egg noodles themselves were not as good or fresh tasting to me one of my favorite Bangkok egg noodle spots. 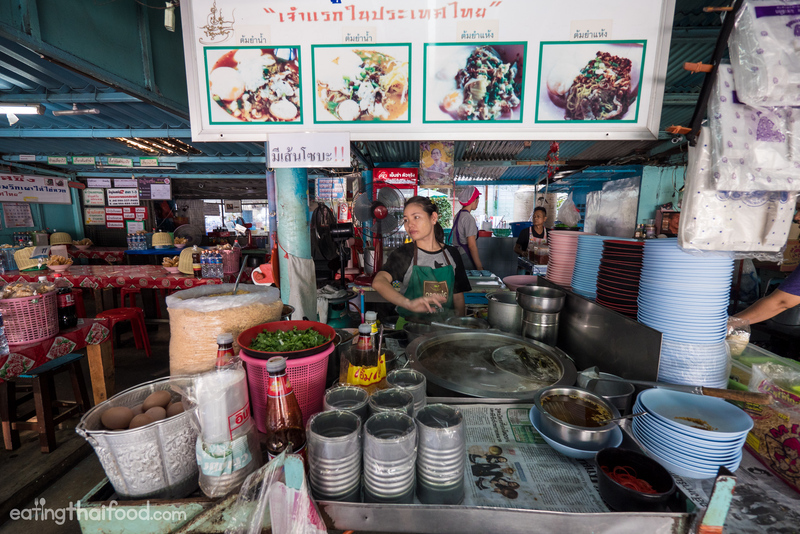 But what Ko Boo Rossing Noodle (ร้านโกบู้รสซิ่ง) really excels in is all the toppings they add to your bowl of noodles, and their outrageously perfect soft boiled eggs. 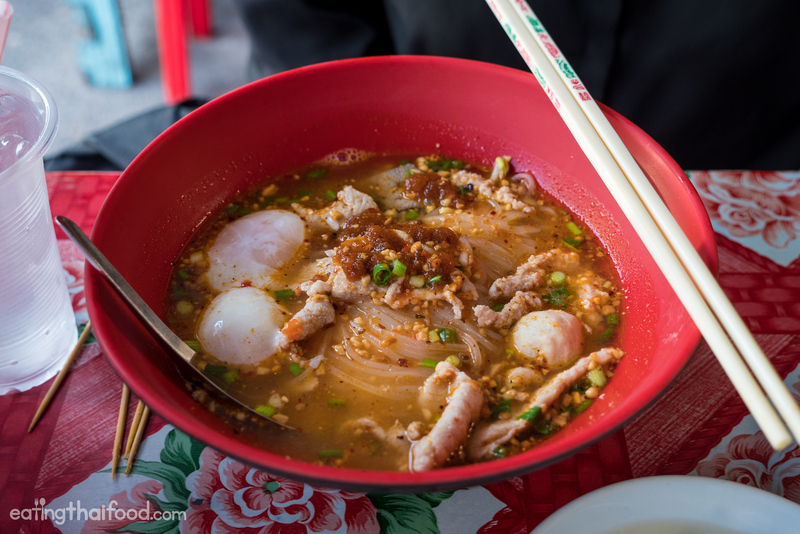 Along with a duo of soft boiled eggs, my bowl of tom yum noodles came with bean sprouts, chili jam, green onions, pork meatballs, lots of crushed peanuts, and a sprinkle of sugar (which I could have done without). The taste was very nutty, sweet, and salty. It was a little sweet for me (next time I will ask them to omit the sugar in my bowl). You’ll have to watch the video to get all the oozing action. But the soft boiled eggs that ooze all over the noodles is the real highlight of eating at Ko Boo Rossing Noodle (ร้านโกบู้รสซิ่ง). Check out this tutorial if you want to make perfect soft boiled eggs. 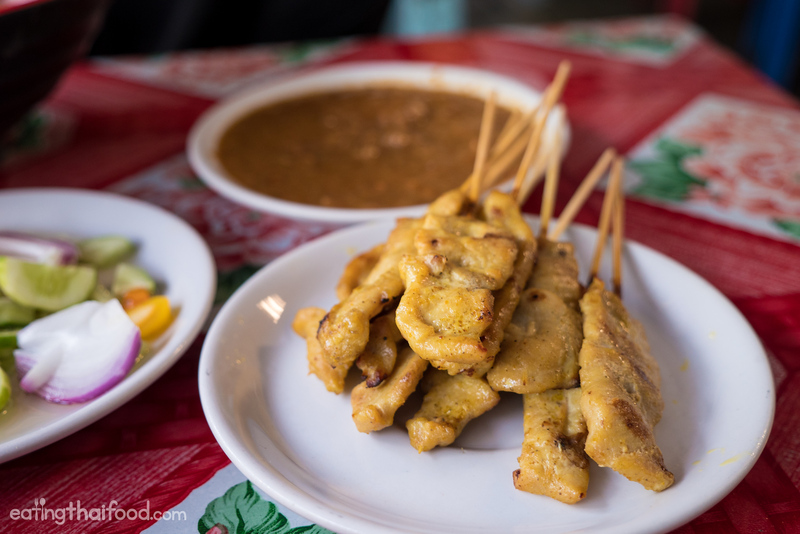 At Ko Boo Rossing Noodle (ร้านโกบู้รสซิ่ง) they also serve Thai pork satay (moo satay หมูสะเต๊ะ). It was alright, not out of your way delicious, but worth getting an order to add to your noodle meal experience. 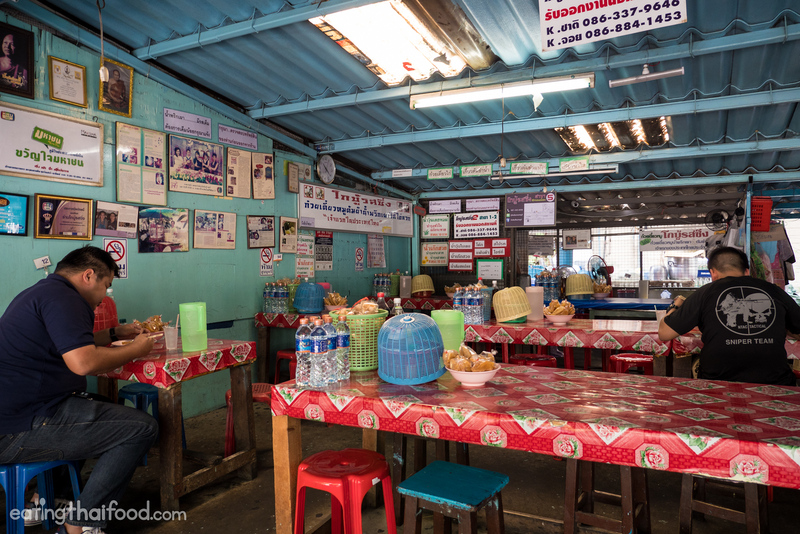 Ko Boo Rossing Noodle (ร้านโกบู้รสซิ่ง) is a Bangkok street food stall that’s open 24 hours a day and serves tom yum noodles. 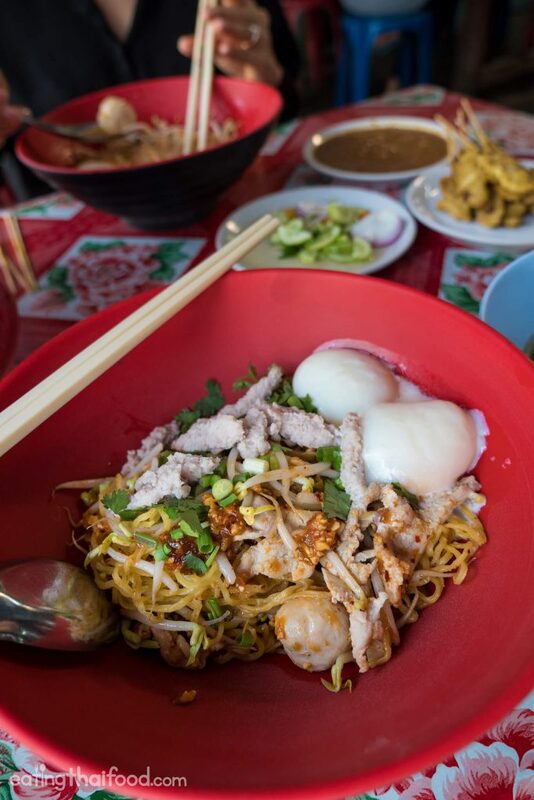 The noodles are very nutty, sweet and salty, and the highlight of eating here are the unbelievable soft boiled eggs that you’ll get on top of your noodles. 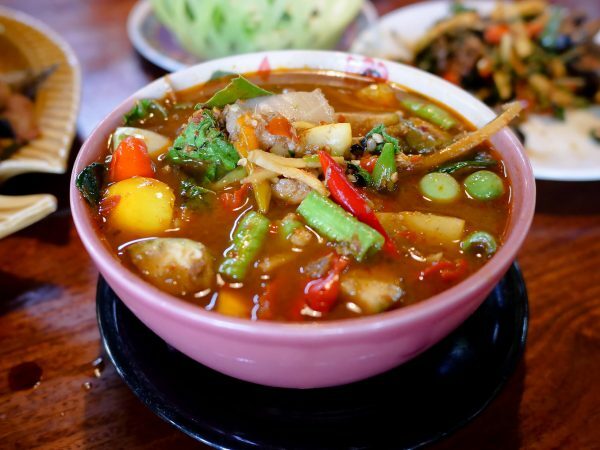 Come at 4 am or 4 pm for a satisfying bowl of street food tom yum noodles in Bangkok. 22 comments. I'd love to hear from you! Hope you and the family are well..! It is no longer serving, the owner was sent to prison couple of months ago. How can I tell them, “No nuts and no sugar”? Thank you! Looks good… do they have anything other than pork? Chicken or fish? Hey Damien, they have some type of jungle bird, but nothing too exotic. How do I get to this place from Glow Pratunam? Hey Joycelyn, the easiest way will be by taxi or uber, might take about 1 – 1.5 hours depending on traffic. Hey Steve, thank you very much, that’s a great idea. Thank you for your support. Hi could you do a recipe on these noodles it looks amazing ! Hey Pam, thank you very much, ok will try to! This looks absolutely amazing! Will need stop by there when I’m back in Thailand. Thanks for sharing!! Hello.. Mark.. Its so amazing for all the videos that u have made and created for all of us.. thank you so much for sharing… Btw, i am so welcome you to visit INDONESIA ( Jakarta or Bali island ) .. maybe , i can guide you .. Mark.. it will be my pleasure.. Oya, Mark pls kindly reply and share me by email when u have great more places for hunting foods like night market in Bangkok ? 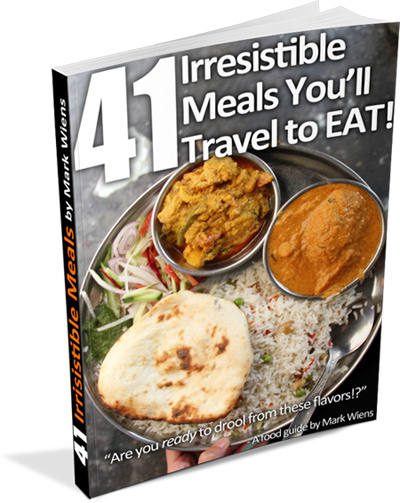 since , i will visit there on March 30… thanks, Mark.. and 1 more time : WELCOME TO INDONESIA ???????????? KopKhunKhap???? Hi Gan, great to hear from you, thank you very much. I would love to visit Indonesia again, thank you for the invitation! Looks soo yummy. 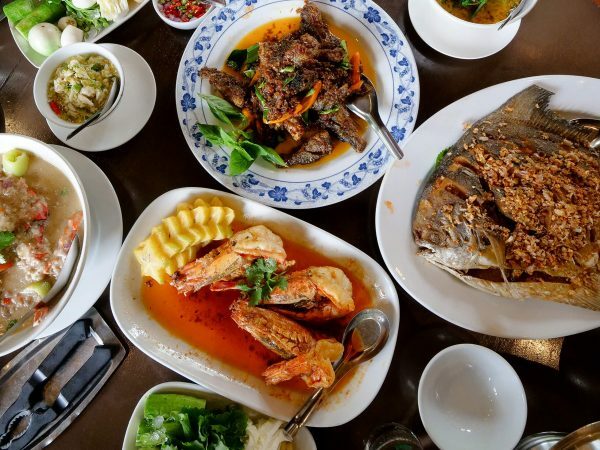 I would love to try Thai food one day. At my workplace, there are some Thai people and for lunch they always bring soo many wonderful foods. I love watching your videos too. Thank you very much. Great to hear that, hope you can try it soon!